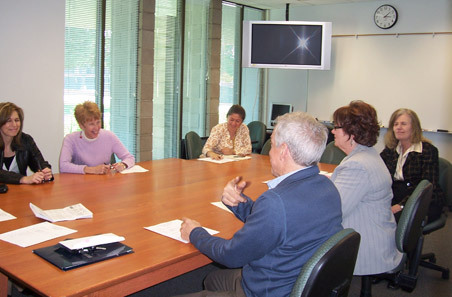 Faculty and staff may reserve a meeting room in the library for campus-related meetings. To reserve Conference Room A (LI 137), please contact the Library Media Desk at 626.914.8576. The Conference Room seats 10-12. See calendar on the right for availability. Conference Room A event text is in purple. All day events will display band of color. Any use of library facilities on the weekend or by a non-Citrus group, please contact the Facility Rentals Dept.. NOTE: The Fish Bowl (LI 204) will not be available after June 18, 2018 as it is now a permanent Language Arts classroom.